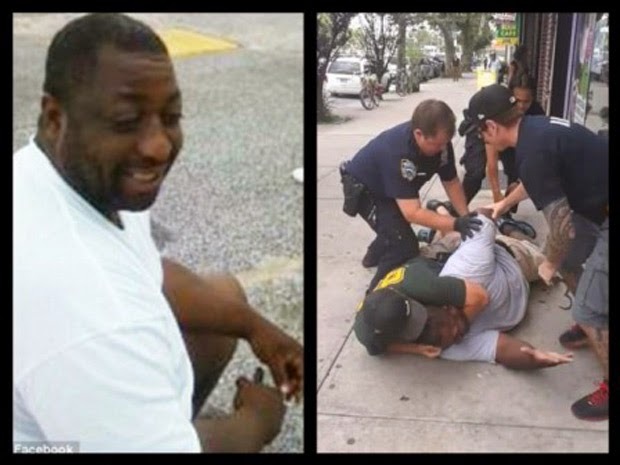 Supporters of Eric Garner’s case has recently released an audio recording of his last words after the Grand Jury did not indict the officer who was responsible for the former’s loss last July. The video of Eric Garner’s last breath after being restrained with a choke-hold by Officer Daniel Pantaleo had gained international attention after it was uploaded on You Tube. It was seen on the video that Garner was telling police officers to leave him alone, but have not acted with physical violence against the police. Despite this, Pantaleo jumped him and all other officers kept him down while putting on handcuffs. Garner was heard telling them he couldn't breathe but the officers ignored his plea. Another video of the said incident was uploaded showing the police officers present on the scene just standing without a hint of panic even after Garner was no longer breathing. It was heard that they called an ambulance but no attempt to do first aid was seen. This caused outrage among netizens claiming it was a racist action. Garner was apparently being arrested for allegedly selling loose cigarettes. However, the grand jury decided that the evidence presented were not enough to charge Daniel Pantaleo. He stated that he had no intention to choke Garner but only did so to take him down. Some elected officials asked for Justice Department intervention because the grand jury’s finding is a proof justice could only be found in federal courts. Apparently, the chokehold maneuver that Pantaleo used had been banned by the New York Police Department since 1993. Coincidentally, the Grand Jury’s decision about Garner’s case came almost a week after the dismissal of Darren Wilson, another police officer who shot and end the life of Michael Brown. This case is also being viewed as an act of discrimination against black people.